Ohio State Buckeyes quarterback Dwayne Haskins (7) throws a pass against the Michigan Wolverines at Ohio Stadium in Columbus, Ohio, on November 24, 2018. On Saturday, Oklahoma quarterback Kyler Murray was announced as the 2018 recipient of the Heisman Trophy. 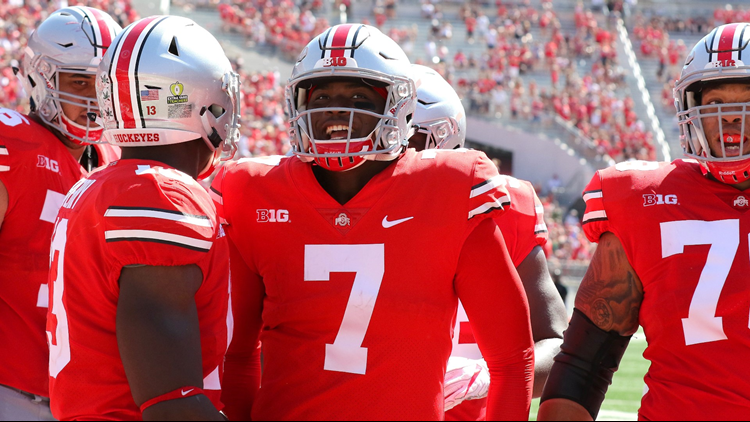 Ohio State quarterback Dwayne Haskins won't have to make any more room in what's been a growing trophy case -- at least not yet. On Saturday night, Oklahoma quarterback Kyler Murray was announced as the winner of the 2018 Heisman Trophy, which is awarded annually to the most outstanding player in college football. Haskins, who was Ohio State's first finalist for the award since Troy Smith won it in 2006, finished third in voting. Alabama quarterback Tua Tagovailoa finished second. Although he served as the front-runner for the majority of the season, Tagovailoa saw his Heisman hopes take a hit when he was injured in Alabama's win over Georgia in the SEC Championship Game last weekend. Murray, meanwhile, starred in Oklahoma's Big 12 title game victory vs. Texas, finishing his 2018 campaign with a 379-yard, 3-touchdown passing effort. For the season, Murray totaled 4,945 total yards (4,053 passing, 892 rushing) and 51 touchdowns (40 passing, 11 rushing) with a 70.0 completion percentage. 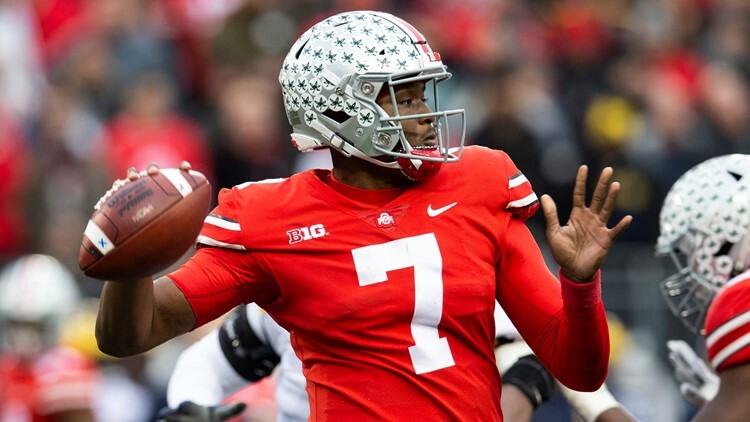 By comparison, Haskins compiled a 70.2 completion percentage, 4,580 passing yards and 47 touchdowns, while adding 122 yards and 4 scores on the ground. Completing 67.7 percent of his passes, Tagovailoa threw for 3,353 yards and 37 touchdowns. Murray, a redshirt junior, is the second straight Oklahoma quarterback to win the Heisman Trophy, following current Cleveland Browns signal-caller Baker Mayfield. He is the first player in college football history to win the Heisman Trophy after replacing the previous year's winner in his team's lineup. 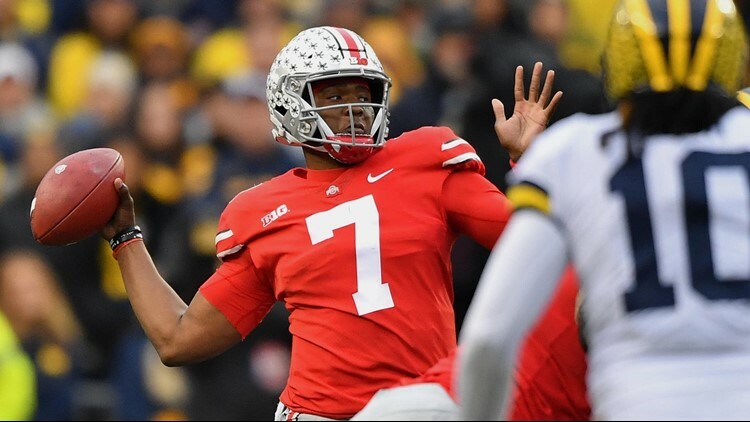 Earlier this month, Haskins, who set Big Ten single-season records in passing yards and touchdowns, was named the Big Ten Offensive Player and Quarterback of the Year, in addition to first-team all-conference. Although he didn't win the Heisman Trophy, Haskins will have one last opportunity to add to his impressive sophomore season -- and trophy case -- when the No. 6 Buckeyes face No. 9 Washington in the Rose Bowl.